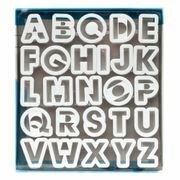 This 26 piece letter cutters by ATECO are a large size for the Cake Decorators bigger products. 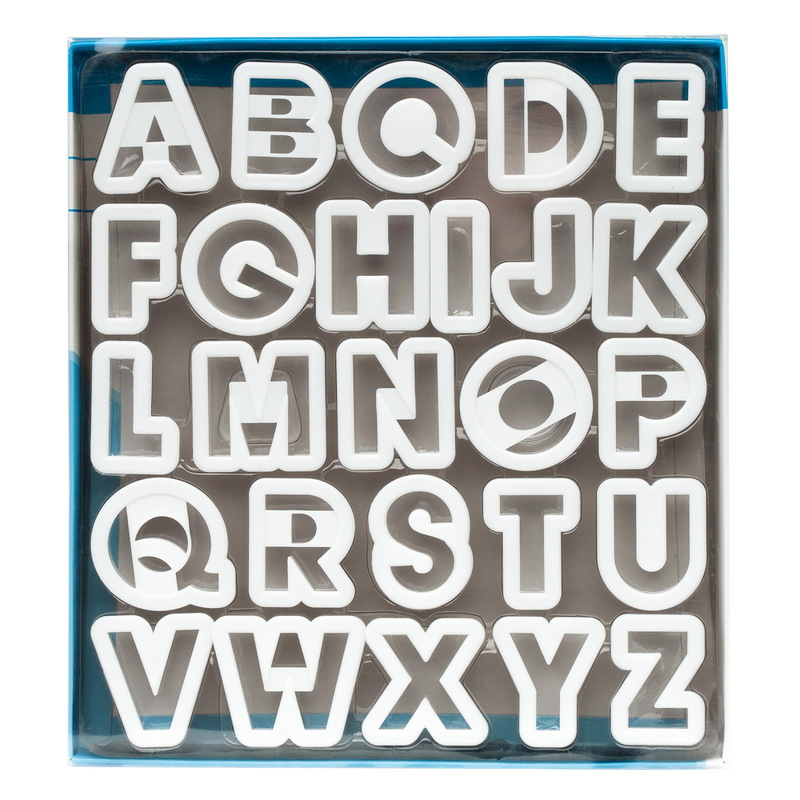 These Block letters are made of a non-stick plastic with a sharp cutting edge. These can be used for everything from cookie cutters to fondant cutters. Each of these cutters is approximately 1-1/2" tall and vary in width.